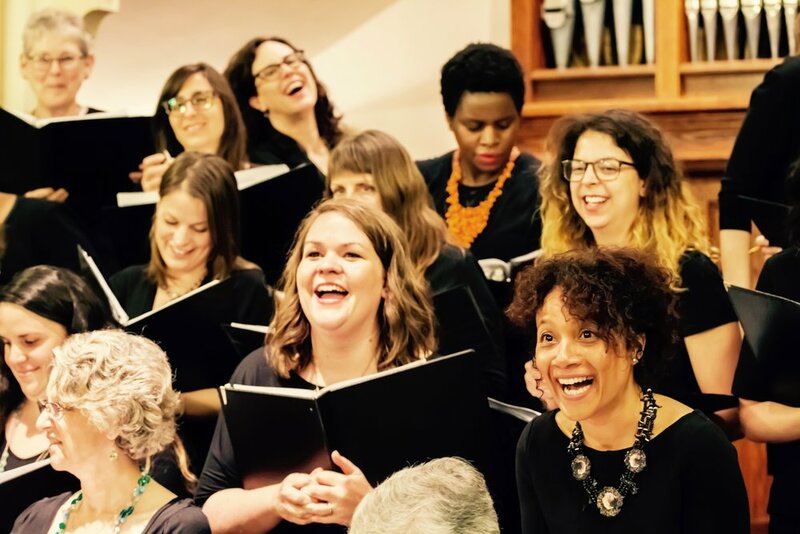 BVS Women's Choir is a 45-member multi-generational women’s community choir based in Brooklyn, NY. We rehearse and perform a variety of repertoire from many genres, but primarily focus on the works of living composers. BVS presents several concerts throughout the year, including regularly scheduled performances in Brooklyn Heights and Bay Ridge. We have also performed at Madison Square Garden and Lincoln Center and along with the New York Treble Singers, the Davidson Singers, Damkoren SALT (from Sweden), and Coro Musa (from Japan). 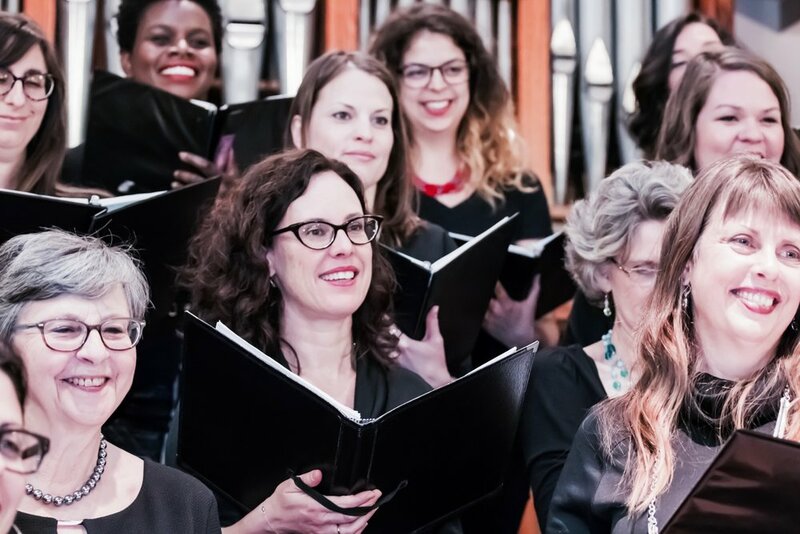 BVS performed at the University of Texas in El Paso in the spring of 2016 and toured Seattle and Portland in 2018, performing with Con Brio and Aurora Women’s Choir. Our recent concerts have include Anne Frank: A Living Voice by Linda Tutas Hagen, Call by Joan Szymko, A Blessing of Cranes by Abbie Betinis, Idegen Foldon by Gyorgy Ligeti, Songs for Women's Voices by Gwyneth Walker, and Still I Rise by Rosephanye Powell. In 2018 we brought to fruition our "Many Voices” project, in which we showcased the poetry of immigrant women living in New York City and premiered three new composItions based on that poetry. In 2015, we made our theater debut in the Off-Broadway production of The Events at the New York Theater Workshop, and some members also performed in the BOSSS Theatre Festival production of The Visitors. BVS Women’s Choir has released three CD recordings: Songs of Peace and Love (2011), Hope (2014), and Faith is the Bird (2016). BVS is a 501(c)3 organization. The choir rehearses on Monday nights in Park Slope, Brooklyn, and auditions new members each year. "BVS brings a bright exuberance to their performances of my music. Director Jessica Corbin and I share both a musical aesthetic as well as social values, which always makes for a fruitful collaboration"
"I am grateful to be a part of [the BVS Women’s Choir] artistic family! The choir’s sound is warm, vibrant, clear, heartfelt, and fearless, just like the spirit of their director. They have performed many pieces of mine, and their sincerity and passion always brings the music soaring off the page."